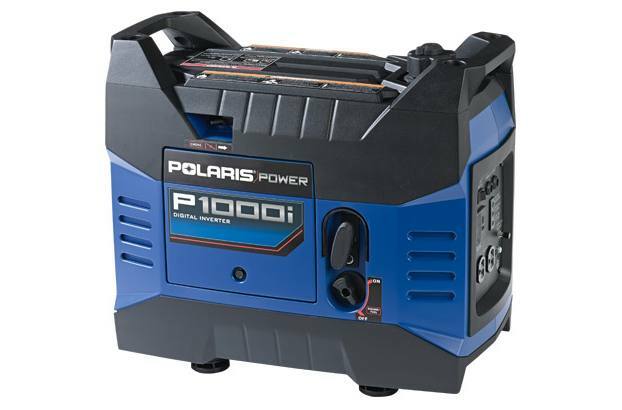 The Polaris P1000i is light and compact, with 2 handles that were ergonomically designed to make the unit easy to transport. This model weighs a mere 36.4 pounds, and is exceptionally fuel efficient. 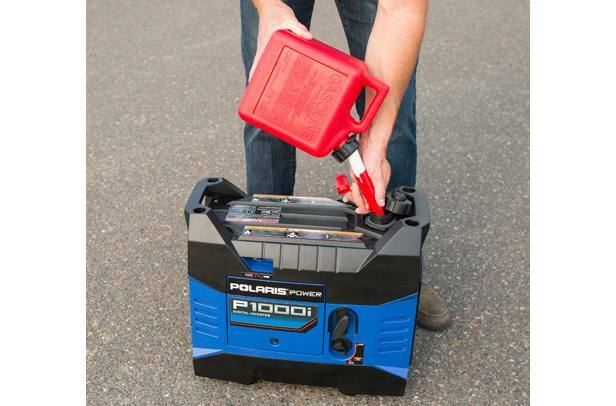 One tank of gas allows it to run for over 10 hours at 25% load. 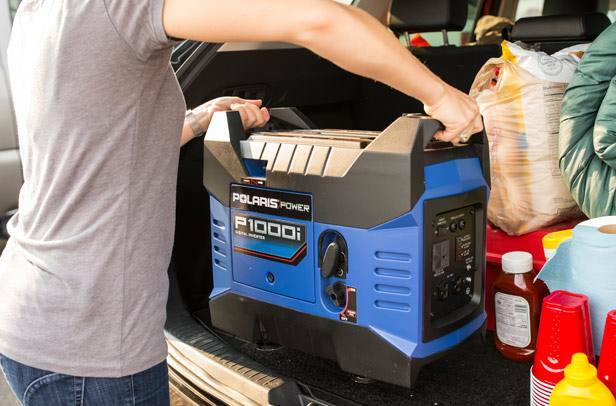 With a maximum AC output of 1000 watts, the P1000i is the perfect addition to power smaller electronics, such as a TV while you’re tailgating or your laptop while away from home. 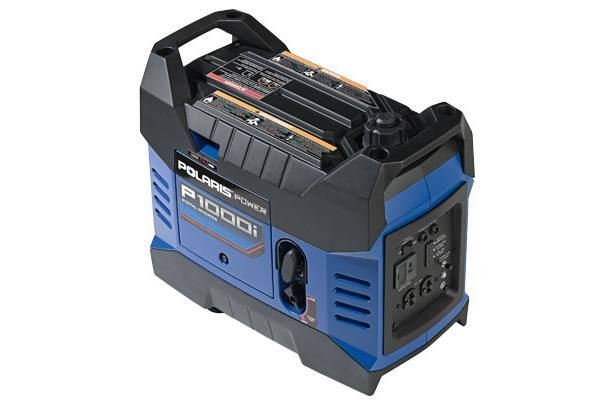 Additionally, this generator is parallel capable, enabling 2 units to be connected together for even more output when needed. Parallel kit required and sold separately. Decibels dB(A) measured outdoors at 7 meters from control panel. Actual results will vary on temperature, environmental conditions and output load. Actual runtime results will vary on temperature conditions, altitude and output load. Parallel kit sold separately. Recommended User Applications: Estimated Averages Only. 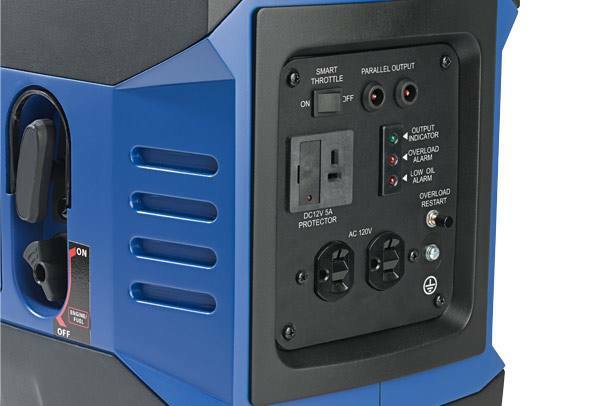 Surge or start-up wattage requirements vary widely by electrical device.